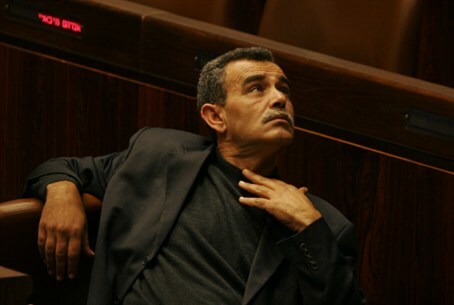 Knesset’s Ethics Committee decides not to sanction MK Jamal Zahalka despite his denouncing “Israeli apartheid”. The Knesset’s Ethics Committee decided on Wednesday not to sanction MK Jamal Zahalka (Balad), despite his comments denouncing “Israeli apartheid” several months ago. Zahalka, who lectured in Toronto on March 30 in honor of the Arab Land Day, claimed that there is no democracy in Israel and that Arabs are victims of Israel’s “apartheid” policy. Zahalka claimed that Israel receives legitimacy and is internationally recognized as a democratic state, and this reality makes the “Palestinians” direct victims of this democracy. The myth of Israeli democracy is expressed, according to Zahalka, by presenting an image to the outside world, according to which there is rule of law, allowing general elections, voting privileges for all, active political parties and discussion in the Knesset to approve proposed laws. However, beneath the surface, he alleged, there is discrimination by the Israeli establishment against Arabs, the most outstanding manifestations of it being expressed in the expropriation of land belonging to PA Arabs, in the Law of Return granting the right to citizenship to Jews only, in the prevention of family reunification of spouses of PA Arabs when one spouse is a resident of the Palestinian Authority and the other is a resident of Israel, and in empowering local communities to establish committees to filter requests by PA Arabs. He ignored the fact that Israeli Arabs have the right to vote, serve in the Knesset, study in Israeli universities, share the same hospitals and public facilities and work alongside Israeli Jews. “We find it difficult to see how expressing hope to end the ‘Zionist hegemony’, together with a rejection of Israeli democracy, can be interpreted in a different way than a clear undermining of the fundamental values of Israel as a Jewish and democratic state,” said the group.